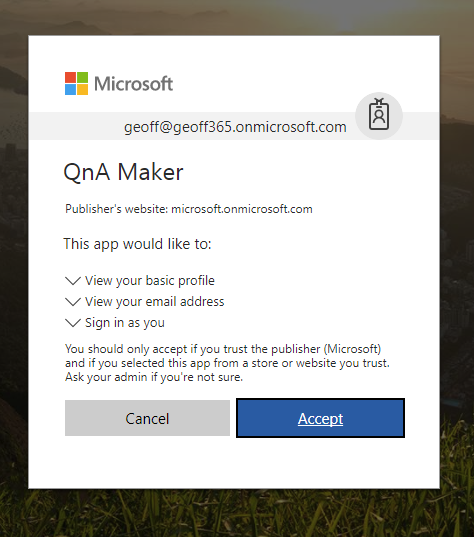 Microsoft has a service in preview, called QnA Maker. 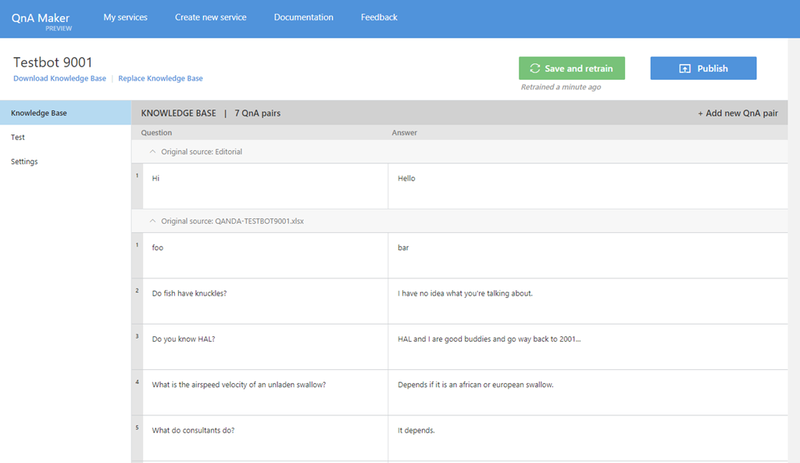 It is a free (presently) service, which provides a REST and web-based service that trains AI to respond to questions asked of it. 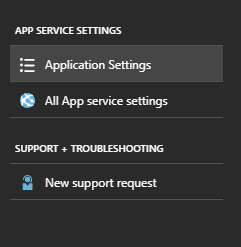 You’ve seen these on other sites, as these have become quite common, and ease the burden on support for SharePoint, or any other service out there. Chat bots can field common questions, freeing up time and energy spent on answering common asks. 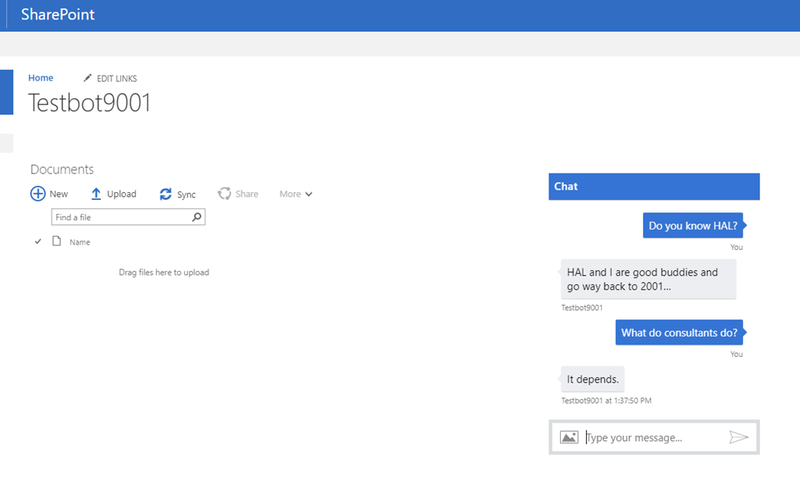 They make it very easy to use – you can point it to a URL, type in your questions and answers, or upload a document (.docx, .doc, .pdf, .xlsx, and .tsv). 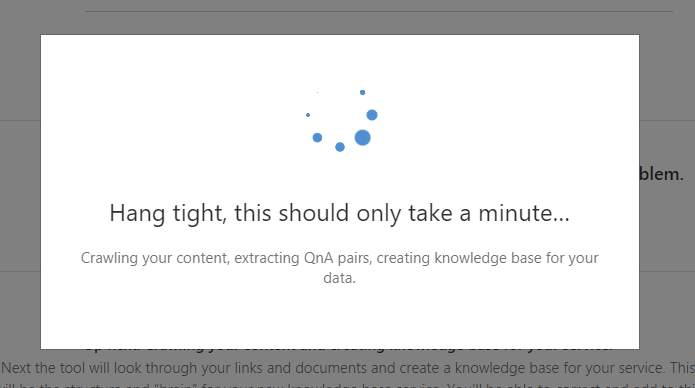 The tricky part, is getting this from loading your knowledge base, to actually having a chat bot on your site. This is what this blog post is for, is to show you how to do it. They do have directions, but not a full walk-through on what to do. This post assumes that you have at the very least, an Azure Account. If not, you can start one for free. 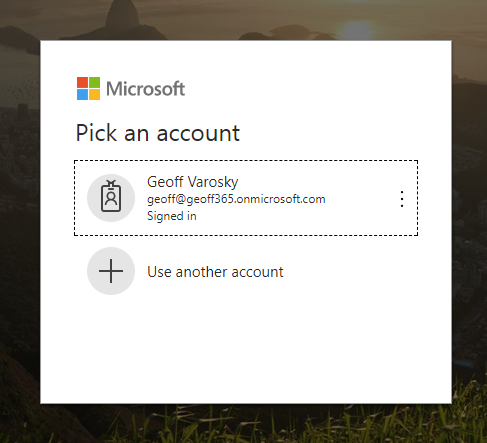 Then sign in with a Microsoft ID, or organizational account like you would into Azure, Office365, Outlook.com, etc. *TSV stands for Tab Separated Values. Like a CSV, but, you know, with Tabs. You can do this in Excel. 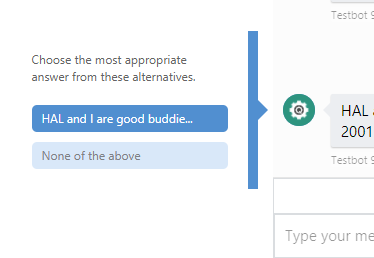 Once complete, it will take you to the Testbot 9001 Knowledgebase. When done, Save & Retrain again to save your settings. 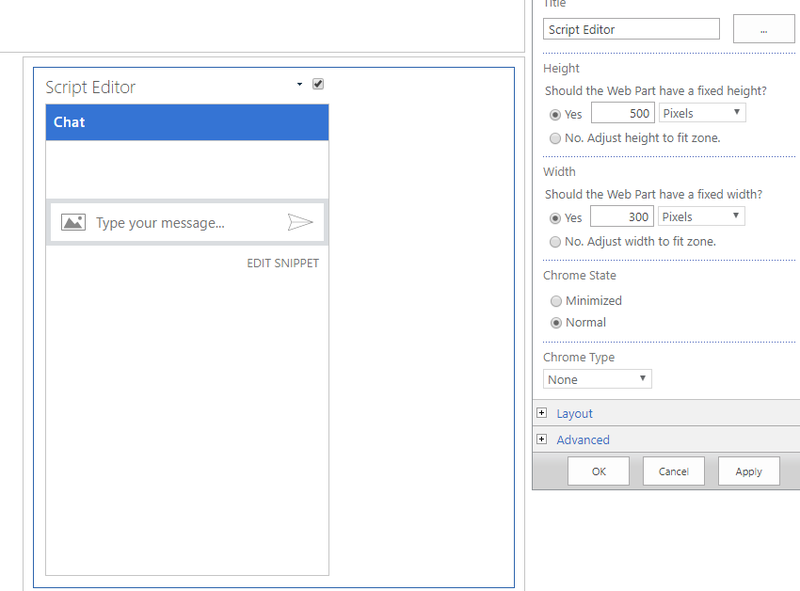 The deployment confirmation screen will show you the example HTTP request for using your bot through the REST API. 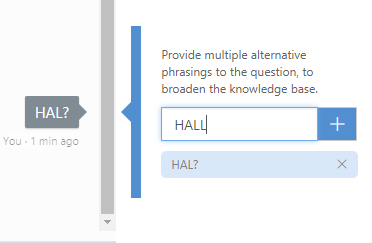 These are also available in the Settings link on the sidebar of the Knowledgebase. So you can identify the soldiers in your bot army! Choose your own subscription. This one is mine. You can’t have it. 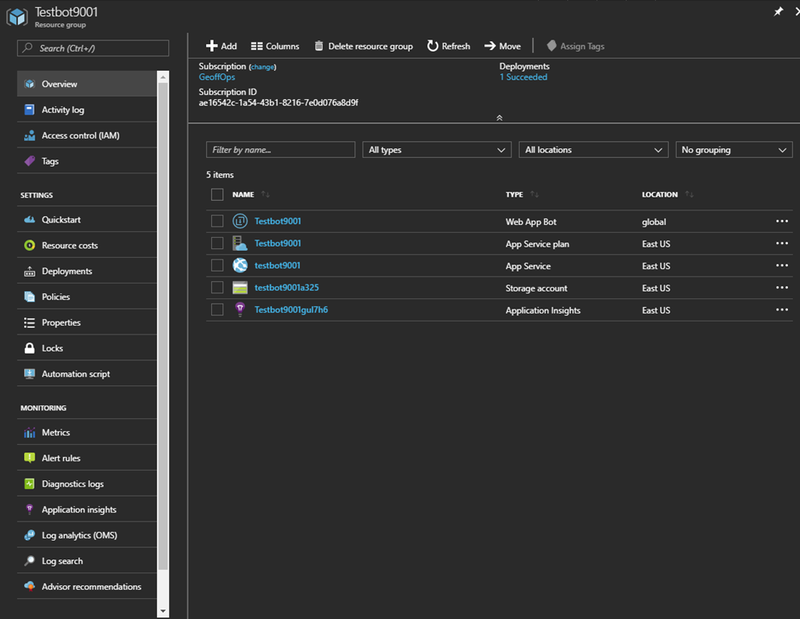 I am letting Azure create a new one for me. This is a data storage account, like a fileshare. You can use an existing one if you have one as well. This is not free. So I turned it off. Then click Create to bring life to your Azure Bot. I twill validate your choices, and then when complete, will begin deployment. Ok. 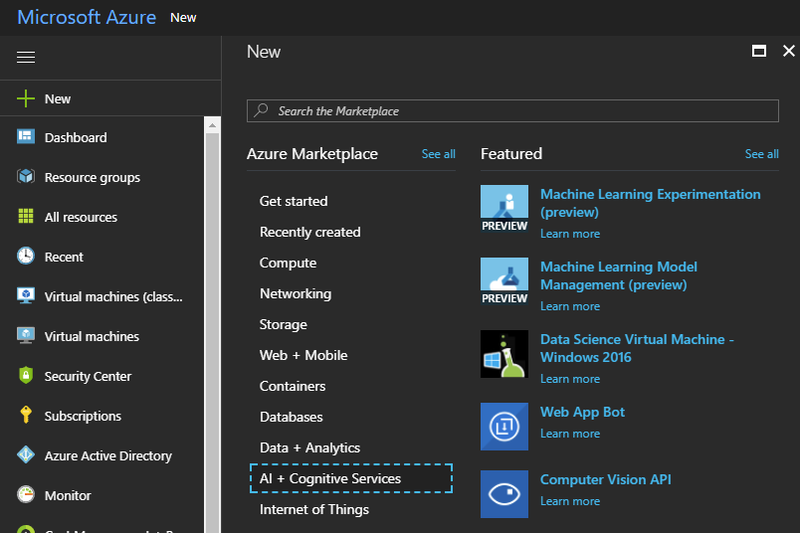 So, we’ve created our bot with QnA Maker, and created a Bot Service in Azure… now what? We need to connect the two. Now, remember those things we copied off earlier? Pate these in there. 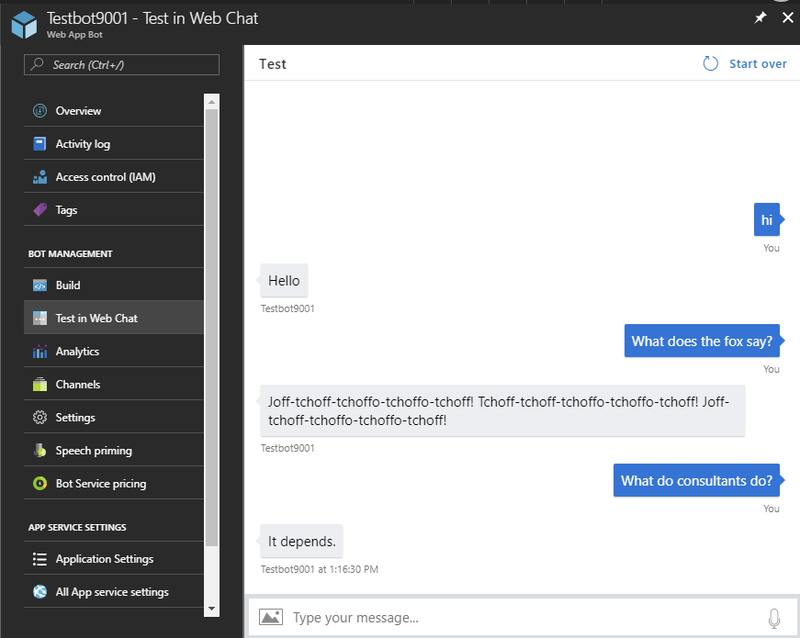 Now, click on Test in Web Chat on the left side, and test out your new bot! Pretty neat! But… now what? Click on Channels on the left side. 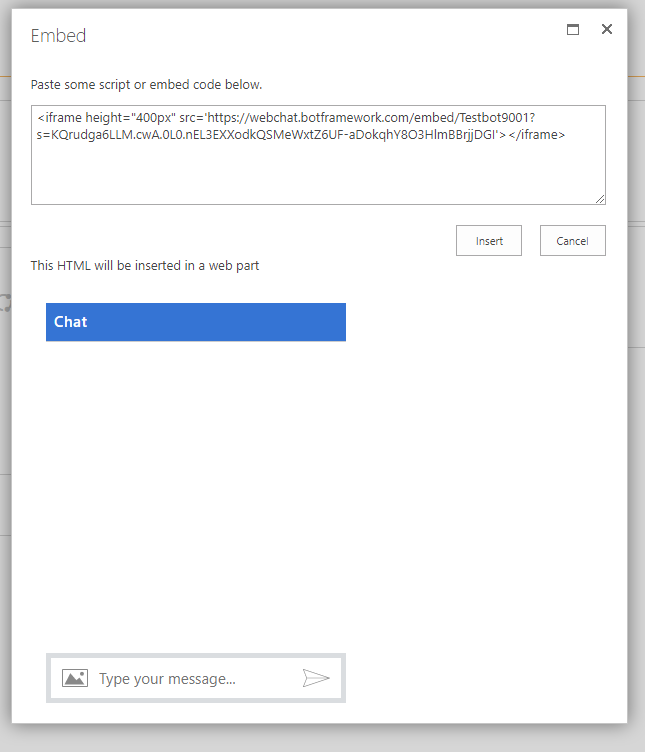 You will see Web Chat setup and running by default. 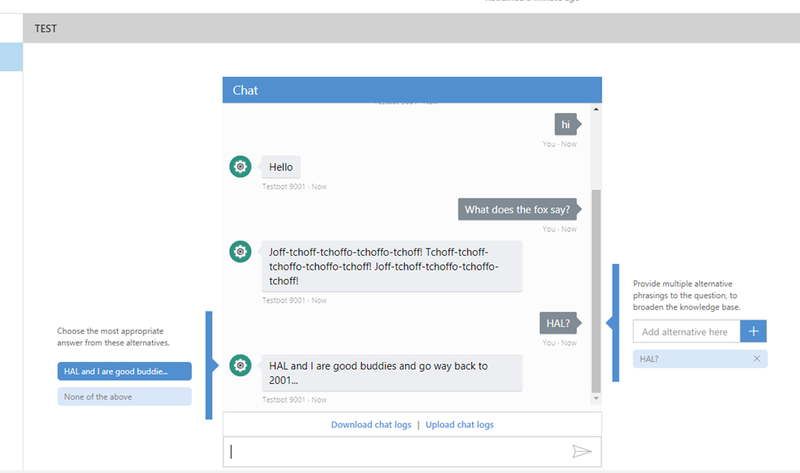 You can also see, you can extend this out to Teams, Skype, and more pretty easily. And you can now drop that into a site, web part, whatever you’d like. It’s just an iFrame, so the possibilities are endless. 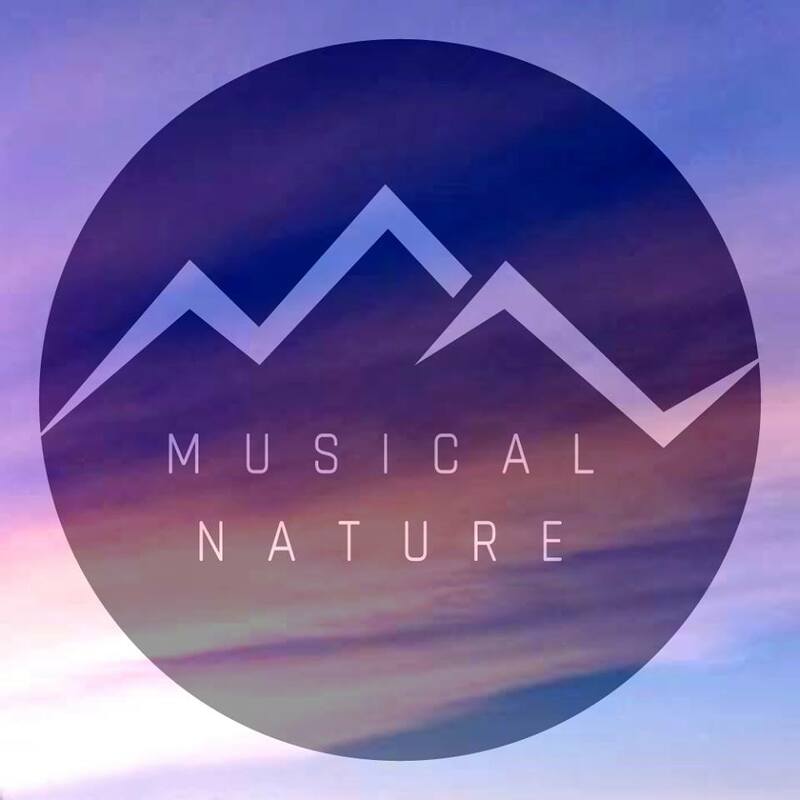 Would I implement it like this for a client? Likely not… I’d be more apt to have a sliding pop-up window, similar to Facebook chats that can be minimized and maximized as needed. This was just an example to show how to build one of these.